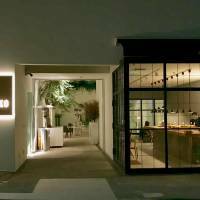 It was one of the major restaurant openings of last year — a renowned, award-winning European chef at the top of his game, launching his second self-named overseas offshoot. 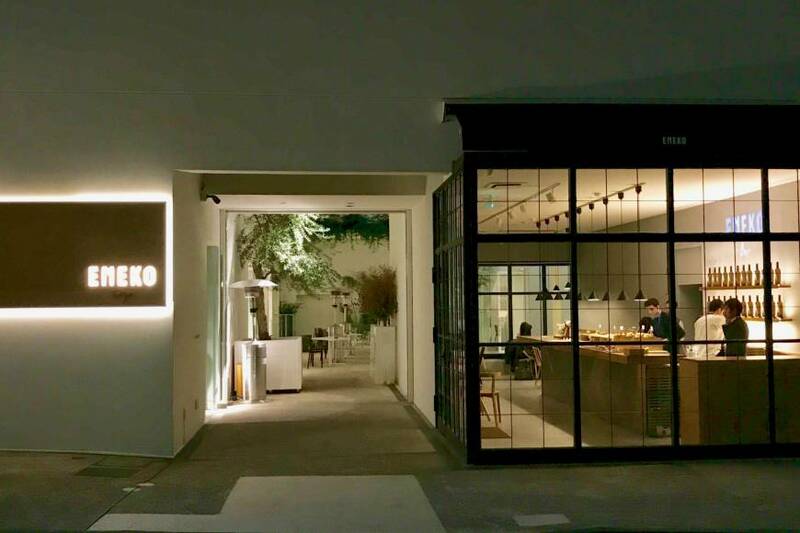 And yet, when you arrive at Eneko Tokyo, hidden away on a quiet Nishiazabu side street, it can feel as though you have come across a secret known only to insiders. Chef Eneko Atxa may not be a household name in Japan — in fairness, very few overseas chefs are — but to global gastronomes he is a star. Azurmendi, his state-of-the-art restaurant just outside Bilbao in Spain’s Basque Country, has held the coveted three-Michelin-star status since 2012 and is a constant fixture on the World’s 50 Best Restaurant list, drawing diners from far and near. Atxa’s inventive contemporary cuisine is rooted in the deep and distinctive culinary culture of his homeland. It is a terroir of lush green hills and rugged mountains dropping into the fertile waters of the Bay of Biscay, and a microclimate unlike any other part of Spain — and certainly nothing like the conditions found in eastern Japan. 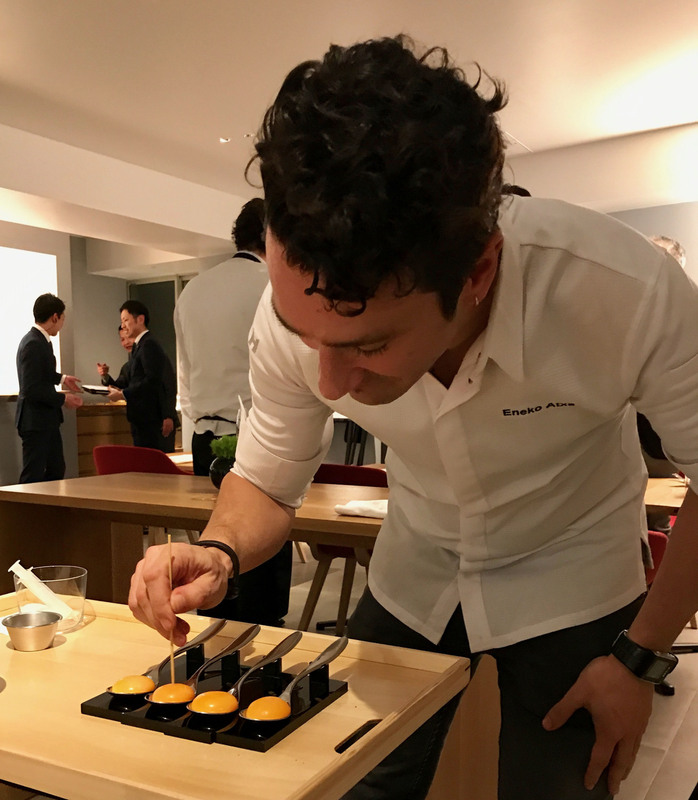 Rather than attempting to reproduce the full high-end Azurmendi dining experience, Eneko Tokyo gives Japanese diners a streamlined and rather more affordable taste of his cooking. Nonetheless, it makes for a remarkable dinner. And, as in Spain, the experience begins not at the table but in a side chamber, standing with a glass of wine and nibbling on a colorful array of appetizers. The wine is txakoli, the classic Basque dry white wine, although this one is much more sophisticated than you’d find at a typical Bilbao bar. With this comes a miniature picnic hamper containing a few exquisite tidbits, such as savory eel macarons or kaipiritxa, a liquor-filled bonbon in the shape of a trompe l’oeil tomato. From here, you are led upstairs to the main dining room, and the meal proper gets under way. It starts — if you have ordered the Luzea menu (or are prepared to pay a ¥1,500 supplement on the lesser menus) — with a bang: Atxa’s most famous creation, his truffle egg. A spoon is brought to the table holding a large yellow yolk. Using a syringe, half the egg is extracted, and then replaced in the same way with a thick, hot truffle broth that cooks the egg from the inside out. This is quintessential Atxa, using the modernist techniques for which contemporary Basque cuisine has become famous to create dishes that taste almost classical in their rich, unctuous complexity. The courses that follow display a similar confluence of technique and taste, although none have quite the same visual and gustatory impact. But whichever of the menus you choose, flavor is never secondary to appearance. True to Basque tradition, you eat extremely well. One caveat and a heads-up: Eneko doubles as a wedding facility, so the restaurant has occasional irregular closing days. 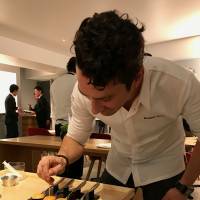 Meanwhile, chef Atxa will be in Tokyo this coming week (Sept. 4 through 7), and will present a special menu to mark Eneko’s first anniversary. He also plans to be back next March for the Tokyo Marathon — he’s an avid runner, as you can tell by his lithe appearance — and is likely to offer a similar program then.